Scientists revel in exploring mysteries, and the bigger the mystery, the greater the enthusiasm. There are many huge unanswered questions in science, but when you're going big, it's hard to beat "Why is there something, instead of nothing?" That might seem like a philosophical question, but it's one that is very amenable to scientific inquiry. Stated a little more concretely, "Why is the universe made of the kinds of matter that makes human life possible so that we can even ask this question?" Scientists conducting research in Japan have announced a measurement last month that directly addresses that most fascinating of inquiries. It appears that their measurement disagrees with the simplest expectations of current theory and could well point toward an answer of this timeless question. Their measurement seems to say that for a particular set of subatomic particles, matter and antimatter act differently. 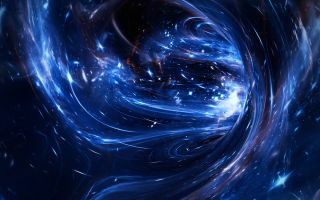 Asking why the universe is made of matter might sound like a peculiar question, but there is a very good reason that scientists are surprised by this. It's because, in addition to knowing of the existence of matter, scientists also know of antimatter. In 1928, British physicist Paul Dirac proposed the existence of antimatter — an antagonistic sibling of matter. Combine equal amounts of matter and antimatter and the two annihilate each other, resulting in the release of an enormous amount of energy. And, because physics principles usually work equally well in reverse, if you have a prodigious quantity of energy, it can convert into exactly equal amounts of matter and antimatter. Antimatter was discovered in 1932 by American Carl Anderson and researchers have had nearly a century to study its properties. However, that "into exactly equal amounts" phrase is the crux of the conundrum. In the brief moments immediately after the Big Bang, the universe was full of energy. As it expanded and cooled, that energy should have converted into equal parts matter and antimatter subatomic particles, which should be observable today. And yet our universe consists essentially entirely of matter. How can that be? By counting the number of atoms in the universe and comparing that with the amount of energy we see, scientists determined that "exactly equal" isn't quite right. Somehow, when the universe was about a tenth of a trillionth of a second old, the laws of nature skewed ever-so-slightly in the direction of matter. For every 3,000,000,000 antimatter particles, there were 3,000,000,001 matter particles. The 3 billion matter particles and 3 billion antimatter particles combined — and annihilated back into energy, leaving the slight matter excess to make up the universe we see today. Since this puzzle was understood nearly a century ago, researchers have been studying matter and antimatter to see if they could find behavior in subatomic particles that would explain the excess of matter. They are confident that matter and antimatter are made in equal quantities, but they have also observed that a class of subatomic particles called quarks exhibit behaviors that slightly favor matter over antimatter. That particular measurement was subtle, involving a class of particles called K mesons which can convert from matter to antimatter and back again. But there is a slight difference in matter converting to antimatter as compared to the reverse. This phenomenon was unexpected and its discovery led to the 1980 Nobel prize, but the magnitude of the effect was not enough to explain why matter dominates in our universe. Thus, scientists have turned their attention to neutrinos, to see if their behavior can explain the excess matter. Neutrinos are the ghosts of the subatomic world. Interacting via only the weak nuclear force, they can pass through matter without interacting nearly at all. To give a sense of scale, neutrinos are most commonly created in nuclear reactions and the biggest nuclear reactor around is the Sun. To shield one's self from half of the solar neutrinos would take a mass of solid lead about 5 light-years in depth. Neutrinos really don't interact very much. Between 1998 and 2001, a series of experiments — one using the Super Kamiokande detector, and another using the SNO detector in Sudbury, Ontario ­­— proved definitively that neutrinos also exhibit another surprising behavior. They change their identity. Physicists know of three distinct kinds of neutrinos, each associated with a unique subatomic sibling, called electrons, muons and taus. Electrons are what causes electricity and the muon and tau particle are very much like electrons, but heavier and unstable. Neutrino oscillation is a uniquely quantum phenomenon, but it is roughly analogous to starting out with a bowl of vanilla ice cream and, after you go and find a spoon, you come back to find that the bowl is half vanilla and half chocolate. Neutrinos change their identity from being entirely one type, to a mix of types, to an entirely different type, and then back to the original type. Neutrinos are matter particles, but antimatter neutrinos, called antineutrinos, also exist. And that leads to a very important question. Neutrinos oscillate, but do antineutrinos also oscillate and do they oscillate in exactly the same way as neutrinos? The answer to the first question is yes, while the answer to the second is not known. Let's consider this a little more fully, but in a simplified way: Suppose that there were only two neutrino types — muon and electron. Suppose further that you had a beam of purely muon type neutrinos. Neutrinos oscillate at a specific speed and, since they move near the speed of light, they oscillate as a function of distance from where they were created. Thus, a beam of pure muon neutrinos will look like a mix of muon and electron types at some distance, then purely electron types at another distance and then back to muon-only. Antimatter neutrinos do the same thing. However, if matter and antimatter neutrinos oscillate at slightly different rates, you'd expect that if you were a fixed distance from the point at which a beam of pure muon neutrinos or muon antineutrinos were created, then in the neutrino case you'd see one blend of muon and electron neutrinos, but in the antimatter neutrino case, you'd see a different blend of antimatter muon and electron neutrinos. The actual situation is complicated by the fact that there are three kinds of neutrinos and the oscillation depends on beam energy, but these are the big ideas. In the current prevailing theory describing neutrino interactions, there is a variable that is sensitive to the possibility that neutrinos and antineutrinos oscillate differently. If that variable is zero, the two types of particles oscillate at identical rates; if that variable differs from zero, the two particle types oscillate differently. When T2K measured this variable, they found it was inconsistent with the hypothesis that neutrinos and antineutrinos oscillate identically. A little more technically, they determined a range of possible values for this variable. There is a 95 percent chance that the true value for that variable is within that range and only a 5 percent chance that the true variable is outside that range. The "no difference" hypothesis is outside the 95 percent range. In simpler terms, the current measurement suggests that neutrinos and antimatter neutrinos oscillate differently, although the certainty does not rise to the level to make a definitive claim. In fact, critics point out that measurements with this level of statistical significance should be viewed very, very skeptically. But it is certainly an enormously provocative initial result, and the world's scientific community is extremely interested in seeing improved and more precise studies. The T2K experiment will continue to record additional data in hopes of making a definitive measurement, but it's not the only game in town. At Fermilab, located outside Chicago, a similar experiment called NOVA is shooting both neutrinos and antimatter neutrinos to northern Minnesota, hoping to beat T2K to the punch. And, looking more to the future, Fermilab is working hard on what will be its flagship experiment, called DUNE (Deep Underground Neutrino Experiment), which will have far superior capabilities to study this important phenomenon. While the T2K result is not definitive and caution is warranted, it is certainly tantalizing. Given the enormity of the question of why our universe seems to have no appreciable antimatter, the world's scientific community will avidly await further updates. Don Lincoln is a physics researcher at Fermilab. He is the author of "The Large Hadron Collider: The Extraordinary Story of the Higgs Boson and Other Stuff That Will Blow Your Mind" (Johns Hopkins University Press, 2014), and he produces a series of science education videos. Follow him on Facebook. The opinions expressed in this commentary are his. Don Lincoln contributed this article to Live Science's Expert Voices: Op-Ed & Insights.